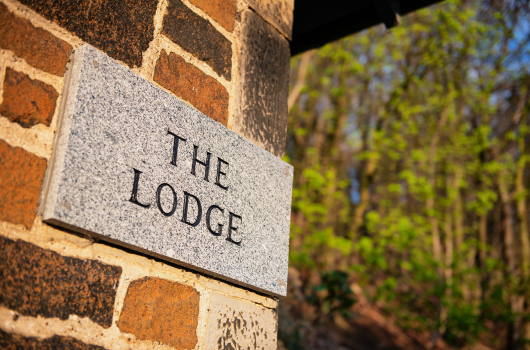 Set beside impressive gates at the entrance to the Northcliff grounds in North Queensferry near Edinburgh, The Lodge is a self-catering serviced cottage with its own garden and views over the River Forth to the spectacular Queensferry Crossing. It is especially suitable for professionals working in the area, whether in Rosyth, Dunfermline, Edinburgh or the South Gyle business centres. And there is space for visiting family. 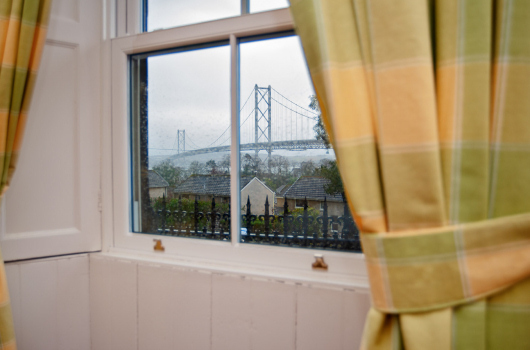 Spacious lounge with superb views over the River Forth and the acclaimed Queensferry Crossing. Dining area looking over the garden and the western end of the woodlands. 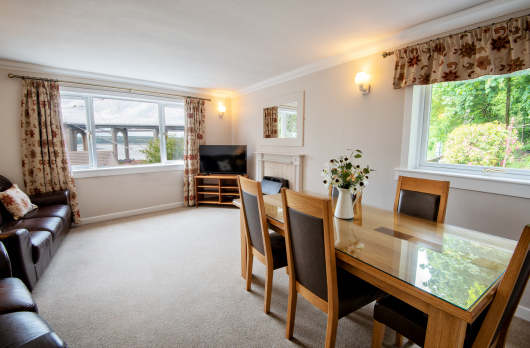 Ideal for a relaxed meal or as a work area providing an alternative to your office. 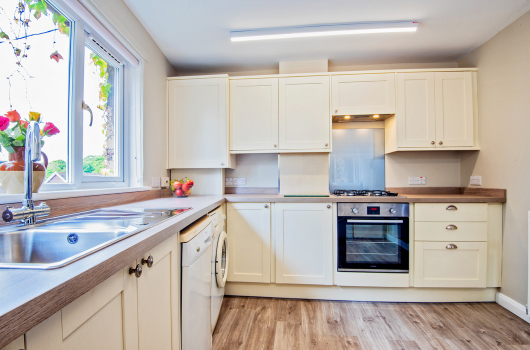 Bright, well equipped kitchen, sharing the views over the river and road bridges. 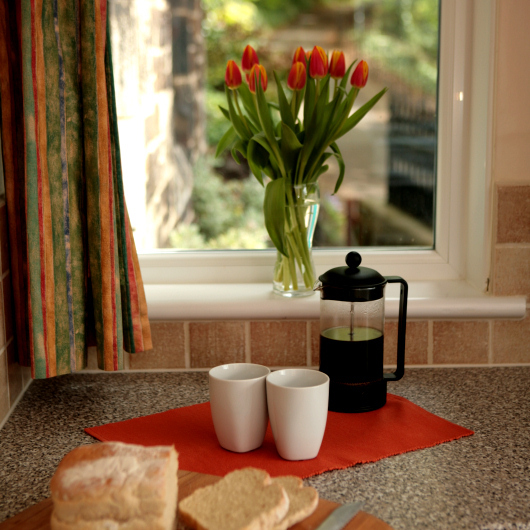 Equipment includes gas hob / electric oven, fridge, washing machine, dryer, dishwasher, microwave and coffee machine. Bedroom one is large and has a double bed and a roomy storage cupboard. 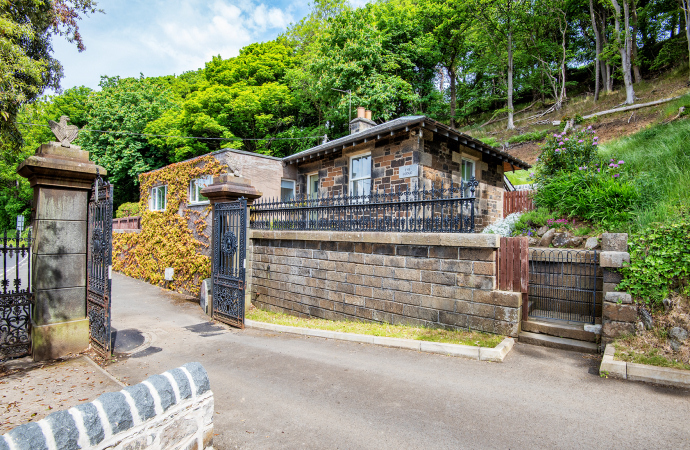 Two bright windows afford views of the woodlands and the eagles on the gateposts. 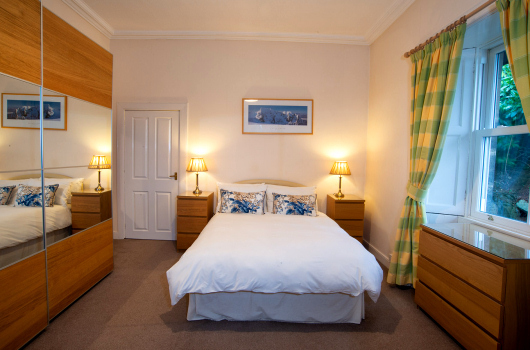 Bedroom two has a double bed and looks out towards the woodlands and the garden. Bedroom three is at the rear of the cottage and has a single bed. 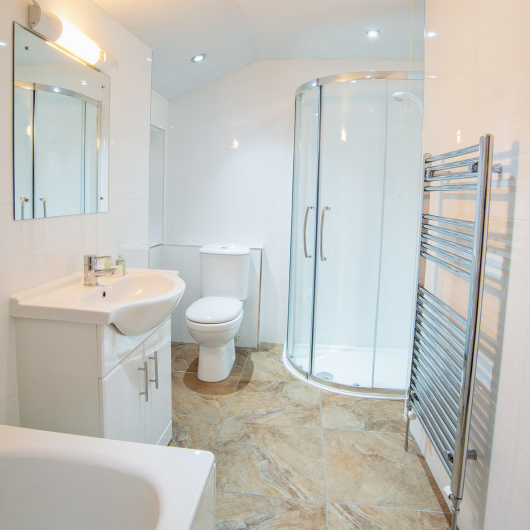 Large bright, fully tiled bathroom with under-floor heating. It has a bath and separate shower cubicle. Hall cupboard with freezer and additional storage space.